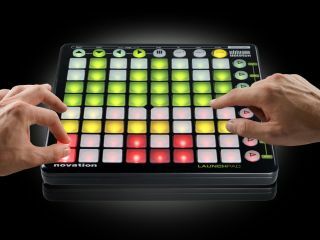 By now, you'll probably have read all about Novation's Launchpad - a brand new Live controller that was developed in collaboration with Ableton. Despite the fact that this was only announced today, MusicRadar has been fortunate enough to get its hands on a finished, boxed version of the product already, so what else to do but plug it in and find out what it's all about? You can watch us getting our first taste of the Launchpad in the video below; we haven't had chance to fully test it yet, but already, we get the feeling that it's going to make a lot of Ableton Live users very happy. For a full review of the Launchpad, check out the November issue of Computer Music magazine (CM145). This goes on sale on 26 October.